When you hear the word skateboarder what image comes to mind? Do you picture a young man from high school who barely made it to — or through — school: shaggy hair, beanie and, of course, a pair of Vans? Do you picture the youngsters your mom told you not to hang out with or you would get a bad reputation? Neftalie Williams shatters all the stereotypes and ideas most harbor about skateboarding and skateboarders. Williams has been in love with the sport since he first stepped on a board in Massachusetts. He loves it so much, he turned it into his life’s passion. “When I was skateboarding there (Massachusetts), what I found out was from the moment I was on a skateboard I connected with a whole different group of people,” Williams said. Currently a doctorate degree candidate at the University of New Zealand, Williams uses skateboarding as a tool to help change the world through Skate Diplomacy. Skate Diplomacy is the idea that skateboarding can be used to give people — specifically kids — a common ground from which they can build communities and relationships. Williams believes if you choose an activity kids are already interested in — he calls it a fun factor — you can make it a tool to teach and show them how to be a part of something bigger in the community and globe. 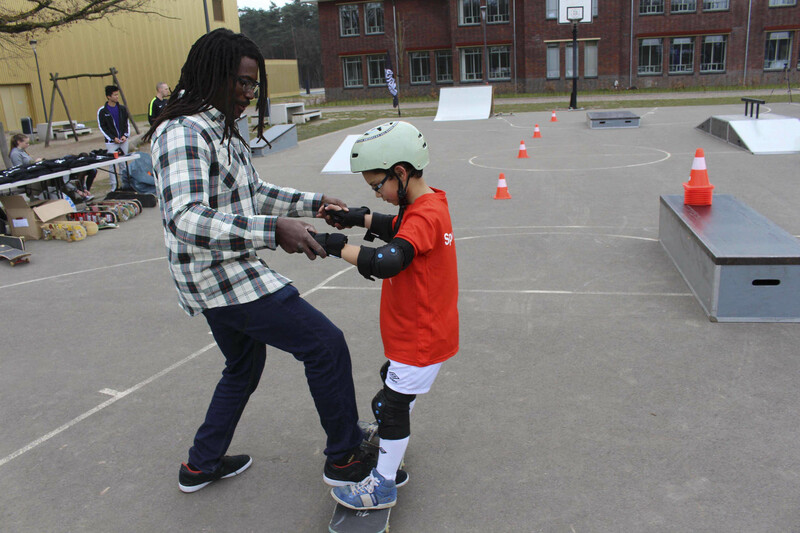 Through the U.S. Department of State’s Bureau of Education and Cultural Affairs, Williams had the privilege of leading the first skateboarding version of sports envoy to the Netherlands. “Sports envoys are athletes and coaches who travel overseas to lead programs that were developed by U.S. embassies and consulates,” according to the State Department’s website. According to Williams, the State Department was observing skateboarding taking place globally and took the opportunity to use it in the sports envoy program. In addition to being proficient in skateboarding, Williams’ background made him well-suited to show the children the importance of public diplomacy [JB emphasis]. “I have this huge public diplomacy background. I am not just a sport envoy and only know my sport, but I also understand all the principles of public diplomacy,” Williams said. As an envoy, Williams taught native Netherland students the importance of public diplomacy. Then, through a turn of events, he had the opportunity to work with Syrian refugees who had resettled in the Netherlands. Williams used skateboarding as a bridge between the two groups. “(My favorite part of an envoy was) being able to help kids see themselves in a new light and see the young Syrian kids believe that they do belong (there) and by skateboarding they can belong to a global community,” Williams said. While Williams has spread his message of skateboarding diplomacy globally, he is working on making it part of the American culture. Williams wants kids from different cultures and backgrounds in the United States to see that they are all the same and they belong together. 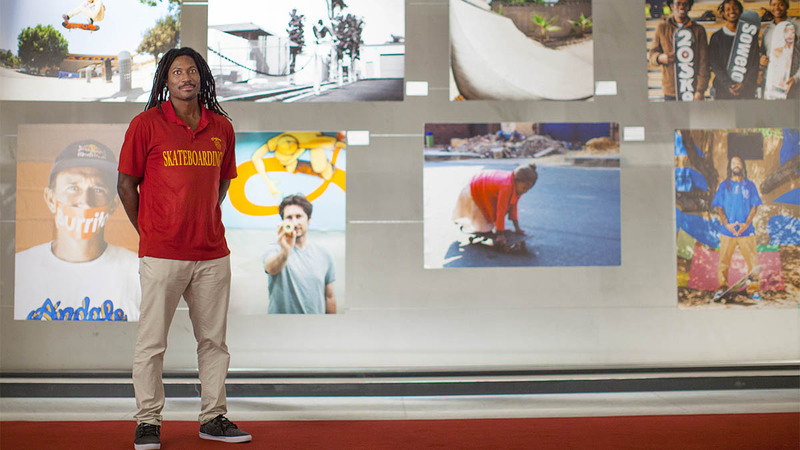 Williams, who is also a lecturer at the University of Southern California, teaches students in his class how to use sports such as skateboarding and grow from it. Through skateboarding there are opportunities in business, video, art and so much more, according to Williams. “I like making sure my students recognize that the everyday things they are excited about (like) skateboarding, video or art have great repercussions and can change the world,” Williams said.